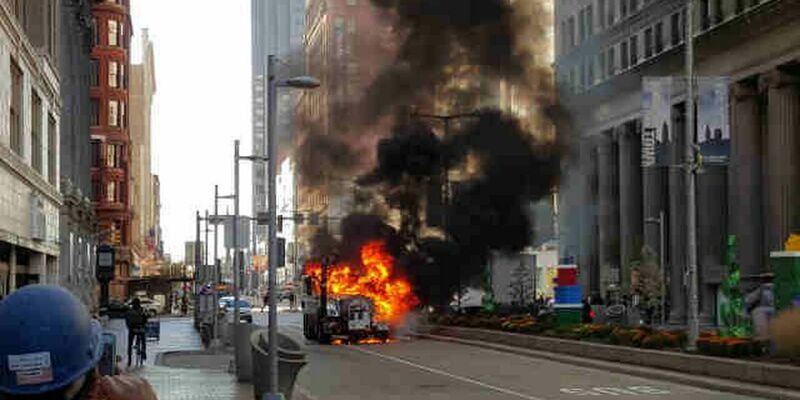 CLEVELAND, OH (WOIO) - A truck fire on East 9th Street and Euclid Avenue has been blocking traffic in downtown Cleveland. Police say drivers should avoid the area for the next three hours. Stay with us for this developing story.